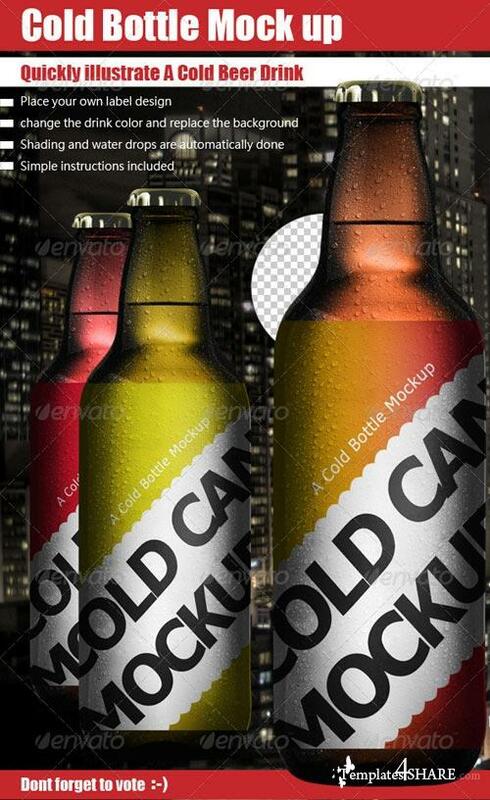 A professional Bottle Mock Up, You can easily change the SmartObject label. Shadows and water drops are done automatically. Less than a minute to create! Premium level. simple instructions included.